I finally found time to play with some electronics again this weekend, so I decided to dismantle my old camera and try to control it from my Dwengo board. A simple plan, so let’s go ahead! The camera is a cheap Aiptek DV3300 camera / camcorder which was my trusted companion for many years and with which some of Overimpe’s best underground heist, crime and weird psychedelic space-time-travelling movies were shot. 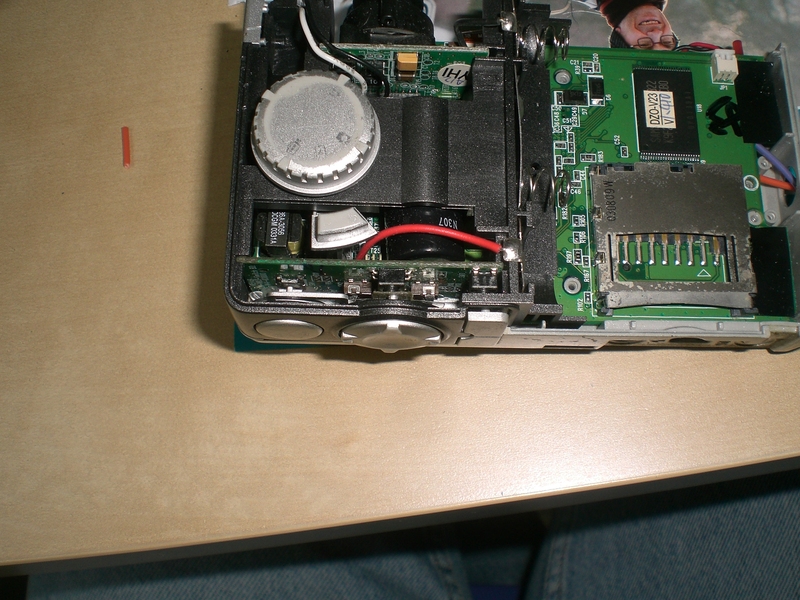 First I had to disassemble the camera, which went fairly easy (some screws and some careful pulling here and there). Once inside the camera, I saw that the plastic buttons on the outside just pushed some standard pushbuttons on the inside. After measuring the voltages when pressed / released, the various buttons seem to just pull a line to ground upon being pushed. Because the buttons are placed fairly close to each other, and my soldering skills are a bit rusty, I decided to start with just controlling two buttons: the power switch and the shutter button. 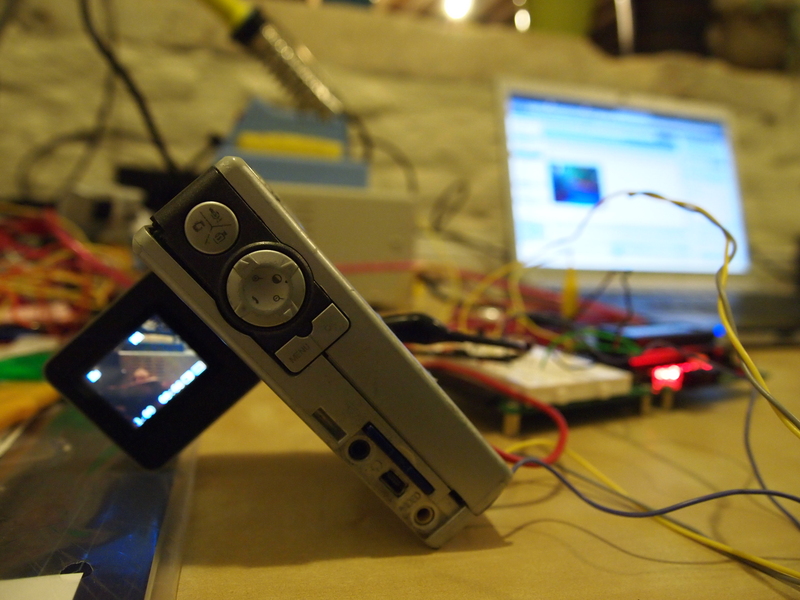 This would allow the microcontroller to start the camera, take a picture (or record a video), and power off the camera. 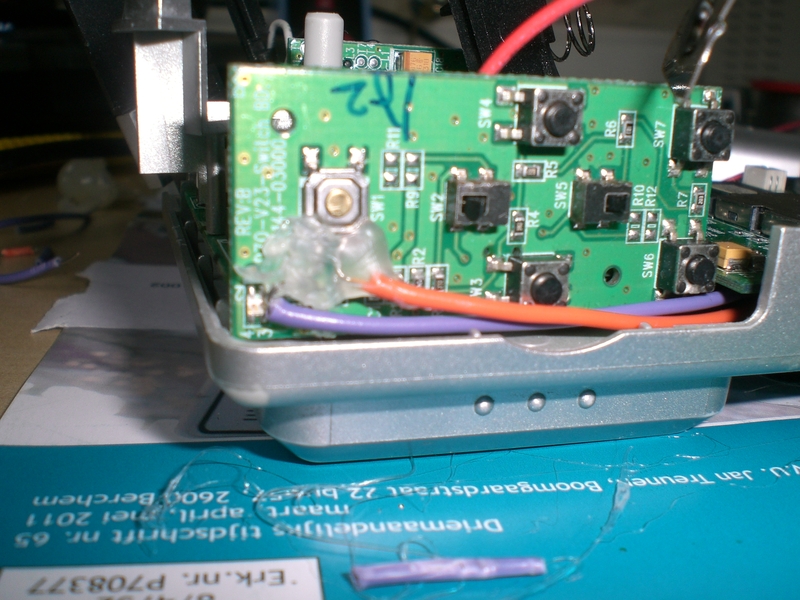 So I soldered two wires to the buttons, put a big blob of hot glue on it (see picture below) and guided the wires to the bottom of the camera, where I could make them come out of the camera through the removed screw of the tripod. Below you see the re-assembled camera, with some wires coming out of it at the bottom. And below is the entire test setup. 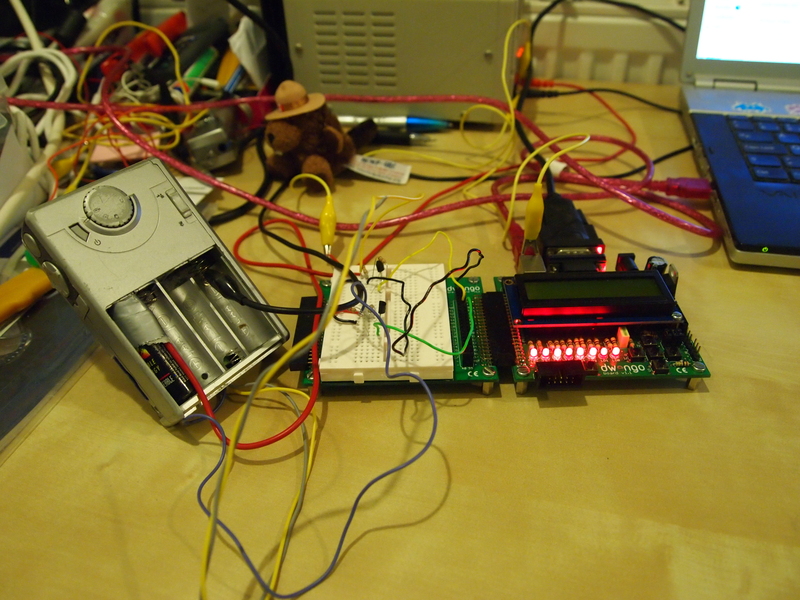 The Dwengo microcontroller board on the right listens on a serial interface (connected to a laptop) for commands telling it to power on the camera and to start recording. Once these commands are received, a pin on the PIC microcontroller is pulled HIGH. This pin will make a transistor go into saturation and connect the camera line (power or record) to ground for a few seconds. This simulates a button on the camera being pushed. 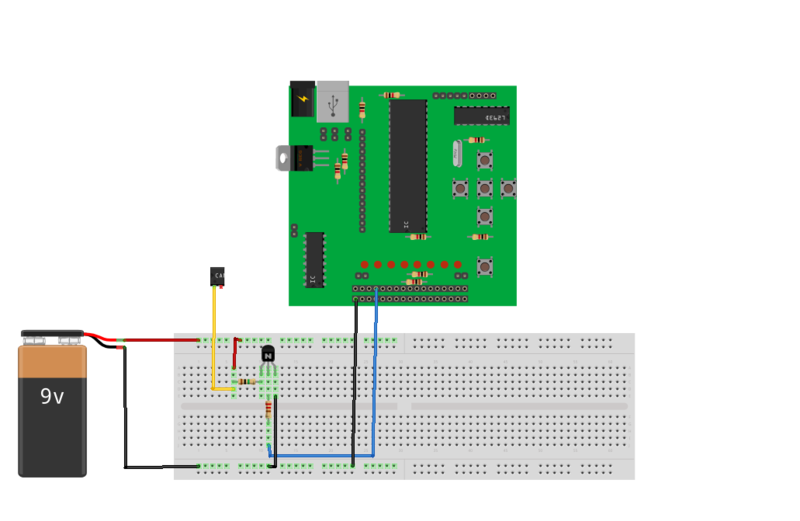 For those interested, the breadboard layout is shown below (click on it to open a larger version). I only included one line in the schema, because the second line is basically the same circuit duplicated. More information about how the circuit works can be found on this excellent site. The code can be found on github. It is really, really ugly code though, because I had a LOT of problems getting it to run ok (I think something is wrong with my Pinguino bootloader). The code will be cleaned up in future commits though. Entry filed under: Electronics, PIC18F. Tags: camera, Dwengo, Electronics, Pinguino, remote, the_stalker.